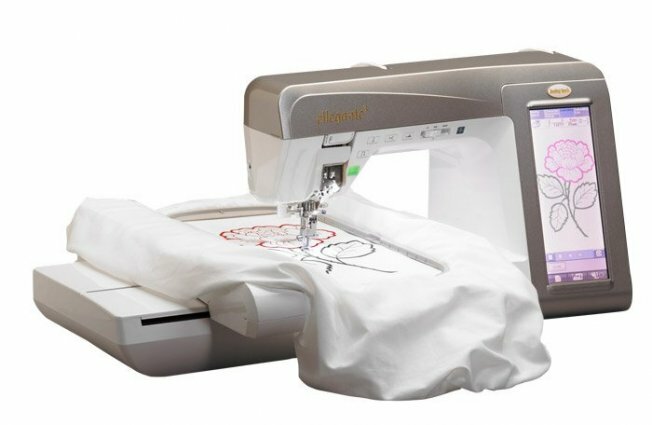 Chic, stylish, and extremely helpful the Ellegante 3 makes embroidery easy. The Ellegante 3 includes multiple designs and fonts including exclusive Nancy Zieman designs and with the LCD color display your designs will pop before you ever finish a stitch. Plus, with the on screen editing feature, you can explore your creative side by putting a unique spin on old designs. In addition to making your work look exquisite the Ellegante 3 includes many features to make your life easier. The quickset, top-loading bobbin, automatic On Request™ Needle Threading System and auto-trimming of jump threads help make embroidery simple.